The period of temporary stay in Azerbaijan for foreigners and stateless persons has been increased from 10 to 15 days. 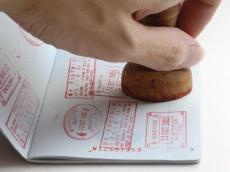 According to the law, from now on, the State Migration Service will accept applications and documents for registration of a foreigner or stateless person whose temporary residence in Azerbaijan exceeds not ten, but 15 days. In addition, an official note from an international organization or a country that is represented by a foreigner or a stateless person or a petition from the relevant agencies of Azerbaijan will not be required. Only, a petition from a party inviting a foreigner or a stateless person will be needed. This does not apply to transit and tourist visas. Also, if the party inviting the foreigner or stateless person is a non-governmental organization, a copy of the state registration certificate of this structure and a document confirming the reason for the invitation will be required. This document is not required for transit, tourist, official and personal visit visas.